When do we change our clocks for daylight savings time? Daylight Saving Time also known as Daylight Savings Time, (DST), occurs in the United States on the second Sunday in March at 2:00 A.M. and ends on the first Sunday in November at 2:00 A.M. DST was started so that we could use as much natural light in one day as possible. By adjusting the clocks forward one hour in the Spring and reverting back in the Fall the maximum amount of daylight could be used and, thereby, reduce the amount of energy needed to produce artificial light. 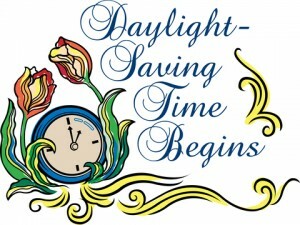 DST as we know it today has been around since 1916. Germany was the first country to adopt Daylight Savings Time. Germany was involved in World War I and in order to save fuel instituted a Daylight Savings Time program. In ancient civilization, societies were always devising ways to adjust their schedule in order to take advantage of available natural light and, therefore, various methods of timekeeping were implored. In 1784, Benjamin Franklin wrote an essay on Daylight Saving Time. Currently, the DST debate on advancing the clocks forward to gain an extra hour of daylight remains charged with its critics and fans. After Germany adopted Daylight Saving Time there was sporadic use of the concept by various countries, however, it wasn’t until after World War II that the United States, European Countries and a certain number of other countries permanently adopted DST. Globalization and interdependence of different countries coupled with the fact that not all countries start and end their DST at the same time provides the critics of DST a louder voice. In the United Kingdom the Spring time change occurs on the last Sunday in March and the fall time change occurs on the last Sunday of October. The British name for Daylight Savings Time is “British Summer Time”. 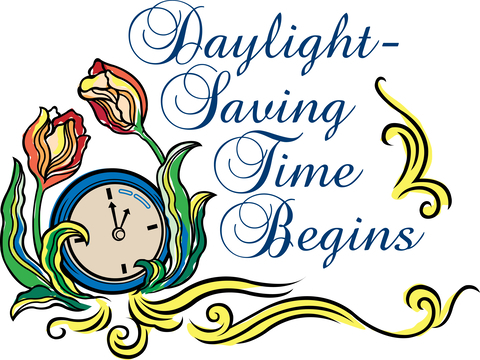 The question that many people have asked is why do we have Daylight Saving Time today given the technological advances in energy conservation. There is a big difference in the amount of energy used today for artificial lighting versus the amount of energy consumed in the past. Hospitals, K-12 Schools, Colleges and Universities have hundreds of clocks in their facilities. If these institutions do not have an automated method of adjusting for daylight saving time the time change becomes a maintenance nightmare. Twice a year, at the start of DST and at the end of DST an organization without an automated system must manually adjust their clocks. For this reason low voltage hard wired systems were invented and installed in facilities throughout the world. These low voltage systems had their own set of maintenance problems for facility managers, nevertheless, it was better than no automated system at all. Innovation Wireless developed a 100% maintenance free wireless system that automatically adjust for DST without any of the maintenance issues associated with low voltage wired system. The KRONOsync Wireless Clock System automatically adjust for the time change in the Spring and Fall by broadcasting the correct time to all clocks within a facility. The KRONOsync transmitter is capable of broadcasting either Global Positioning Satellites (GPS) time or Network Time Protocol, (NTP) time to all the wireless clocks in a facility and automatically adjusts the clocks for DST. The key to any type of clock system is to have a reliable time source. A reliable time source is the foundation of an accurate and reliable synchronized clock system. The GPS method has the customer install a small Garmin GPS receiver to the outside of their building and retrieve time from GPS satellites. Each GPS satellite has 3 true atomic clocks to maintain accurate time. The NTP time method requires the customer to connect the NTP receiver to their Ethernet computer network. The end result from either time source is that the KRONOsync transmitter will have a reliable time source to broadcast throughout their facility. The transmitter broadcasts the correct time to the clocks 24/7. The receiver modules inside the clocks are tuned to the transmitter frequency. The digital and analog clocks pick up the broadcast time code and stay synchronized to that time, thereby, displaying the accurate time all the time. Innovation Wireless’ customers in the United States have their clocks automatically adjusting at 2:00 am on the second Sunday in March and the first Sunday in November the clocks. The debate between whether we should continue with Daylight Savings Time or disband it will continue in United States and the world because of the vested interests of certain companies. These companies will continue to try to influence lawmakers to their side of the argument. The winner of the debate will be who has the lobbyist with the most influence. The best use of available natural light does have a positive effect for many businesses and for those who have many clocks Innovation Wireless provides a solution to resolve the maintenance issues associated with DST.